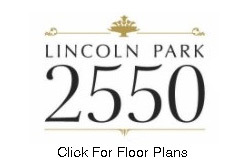 "2550 N Lakeview, also known as Lincoln Park 2550, is the crown jewel of high rises in Lincoln Park. 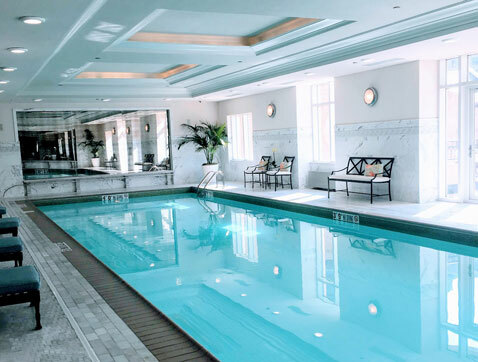 Built in 2012, 2550 N Lakeview has some of the best amenities of any building in the city, including a 1.25 acre private park." 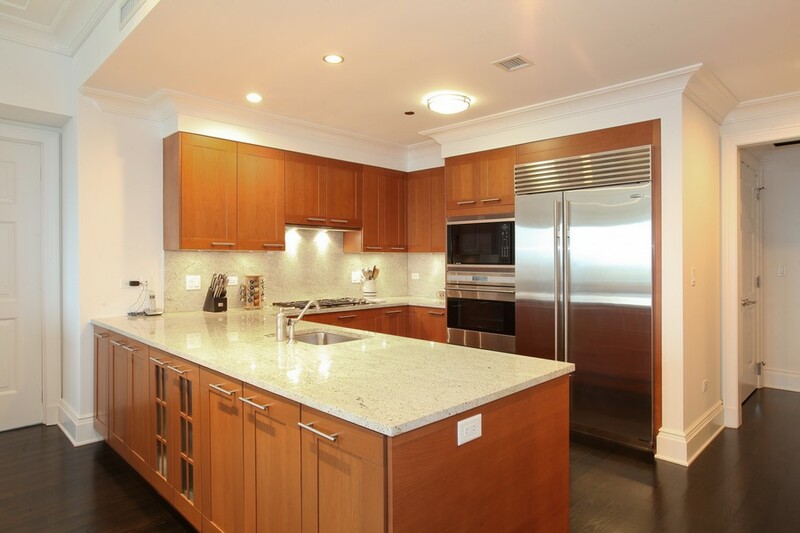 2550 N Lakeview is one of the most in-demand luxury condo buildings in Lincoln Park. 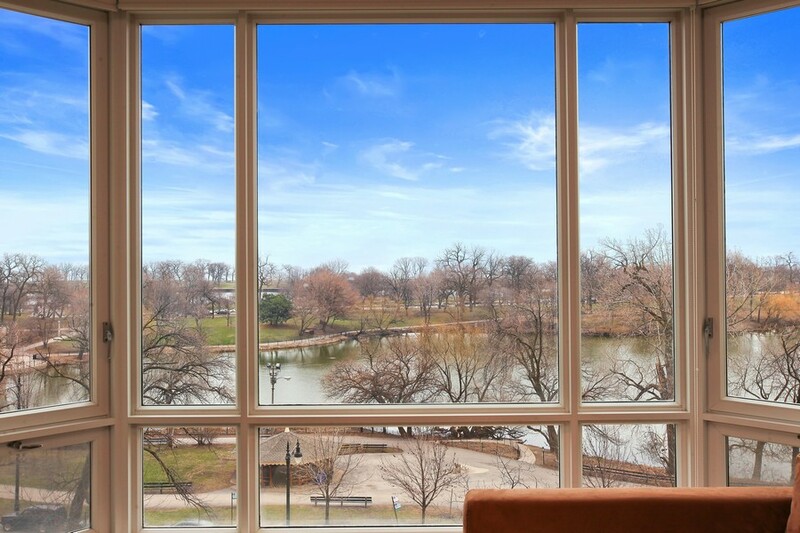 Lincoln Park 2550 is built on a relatively large 3-acre parcel facing the park. 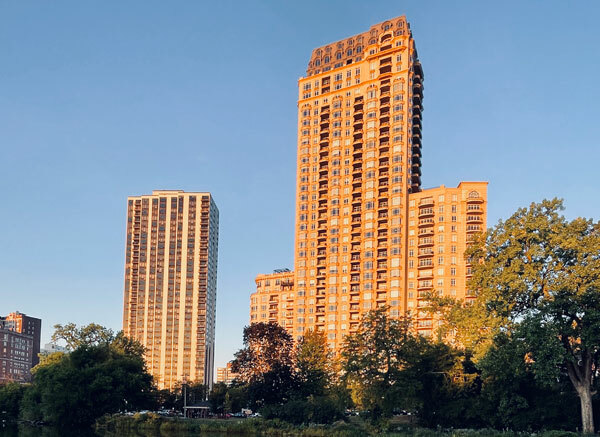 The 39-story building features 219 condo residences in the North and South towers. The Lincoln Park 2550 site also features multiple single family homes along the Deming Place side of the building. There is a single very large modern single family home built on the St James Place side of the building. The success and appeal of 2550 N. Lakeview can be attributed to the thoughtful, timeless design and architecture of the building. 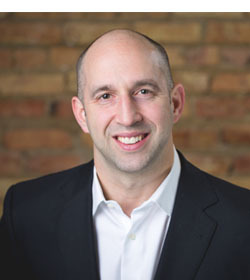 The building architect, Lucien Lagrange, is known for designing European inspired buildings - several such buildings can be found in the Gold Coast and River North neighborhoods including 65 East Goethe and 25 East Superior. 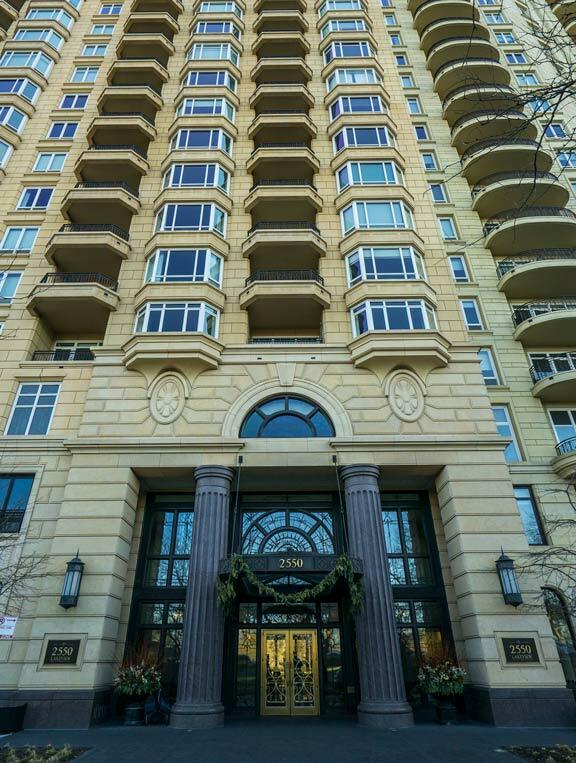 The stone and limestone facade features unique details that give 2550 N Lakeview an elegant presence visible to those even driving on Lake Shore Drive. 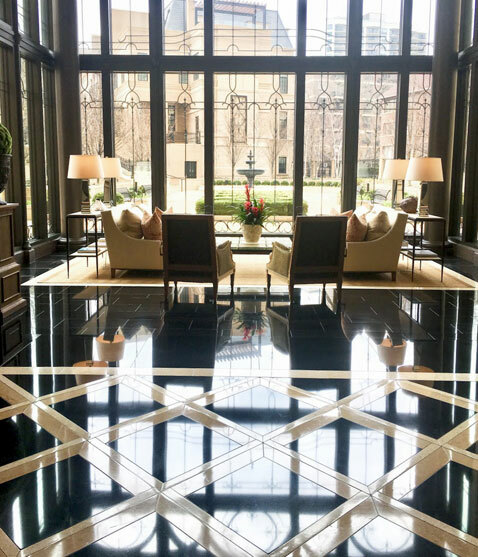 The interior architecture and design of Lincoln Park 2550, including the inviting lobby space, was designed by Darcy Bonner. The view of the landscaped private park and garden are visible from the waiting area and inspire a luxury hotel ambiance. 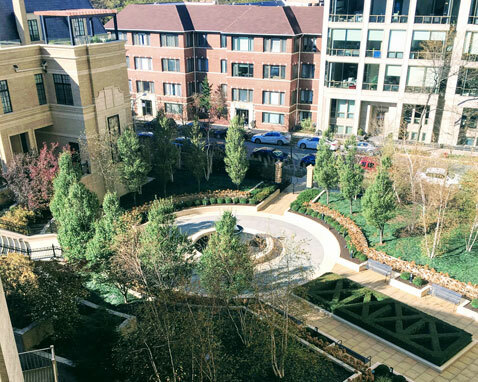 The gardens and landscape architecture at Lincoln Park 2550 were designed by Thomas Balsley Associates. The homes at Lincoln Park 2550 feature tall ceilings and interiors that are large and sophisticated. 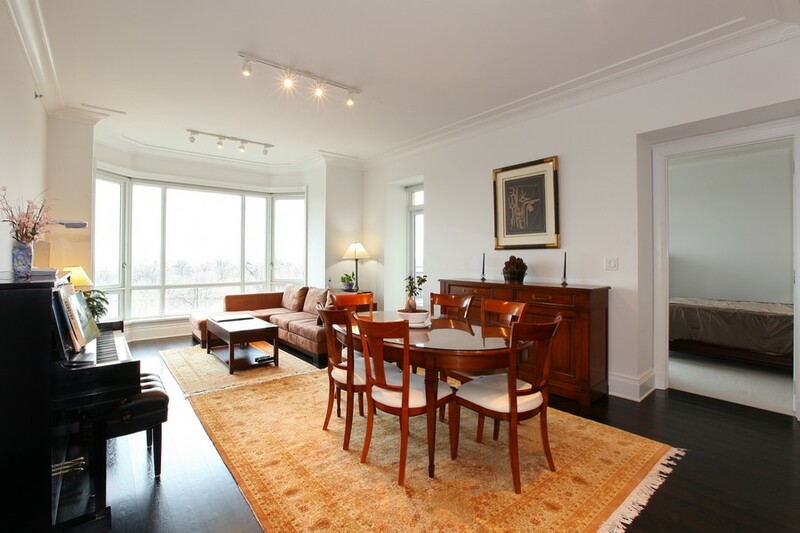 The high ceilings are accentuated with crown mouldings. Condos at Lincoln Park 2550 feature rift and quarter sawn oak floors and kitchens include Poggenpohl cabinetry and high end appliances. 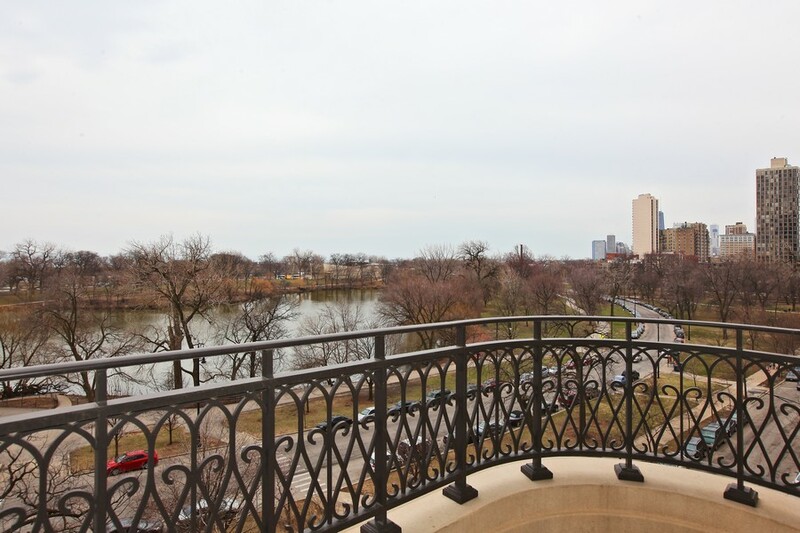 Many buyers purchase in the building for the views of the park and generous balconies that feature intricate balcony railings. 2550 N Lakeview features floor plans ranging in size from 1-5 bedrooms. A variety of views and floor plans allows for something to meet the needs of most buyers looking to move into this premier luxury building. The building is located on Lakeview Avenue between Deming Place and St James Place.